National Library of Medicine Catalog Description of this database. This 5000-page masterwork is literally the last word on the topic and will be an essential resource for many. Unique in its breadth and detail, this encyclopedia offers a comprehensive and highly readable guide to a complex and fast-expanding field. The five-volume reference work gathers more than 10,000 entries, including in-depth essays by internationally known experts, and short keynotes explaining essential terms and phrases. This book offers an overview of mainstream research techniques, provides guidelines on how to choose one technique over another, offers tips on analyzing data, and provides a list of references for additional detailed study. This book can also assist in an understanding of published studies. Under the guidance of a distinguished team of international experts, 6 volumes collected 300 articles from all the top scientists laying out our current knowledge on the anatomy, physiology, and molecular biology of sensory organs. Topics covered include the perception, psychophysics, and higher order processing of sensory information, as well as disorders and new diagnostic and treatment methods. Written for a wide audience, this reference work provides a comprehensive overview of the function of sense organs, sensory systems, and how the brain processes sensory input. 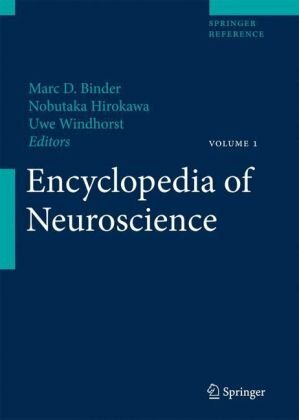 Features of the third edition include research that maps biological changes directly to cognitive changes; a new and integrated view of sensory systems and perceptual processes; the presentation of new developments in plasticity; recent research on the cognitive neuroscience of false memory, which reveals the constructive nature of memory retrieval; and new topics in the neuroscientific study of emotion, including the "social brain." The subject matter of this volume is comprised of an overview emphasizing fundamental and core information about the neuroscience of the human nervous system. New data is presented on recent advances in molecular neurobiology, development and aging of the nervous system, cranial nerves, and plasticity and the nervous system. In addition to laying the moral foundations of research with human participants, the examples and analyses in this work help to guide researchers in identifying conflicts of interest and solving ethical dilemmas, planning research, recruiting participants and maintaining trust. An important historical document in the field of medical ethics; created on April 18, 1979. A wealth of ethics resources from the APA including links to the 2003 Ethics Code as it applies to psychologists' activities that are part of their scientific, educational, or professional roles. The site also contains information regarding Guidelines for Ethical Conduct in the Care and Use of Nonhuman Animals in Research. A collection of links from the National Library of Medicine. This content is targeted to participants (or potential participants) in clinical trials. Issue considered at the Hastings Center include: Animal Research Ethics, Children & Psychiatric Medications, Clinical Trials and Human Subject Research, Conflicts of Interest in Research, End of Life, Enhancement, Genetic Testing & Screening, Health Care Reform & Policy, Medical Error & Malpractice Reform, Nature, Organ Transplantation, Pandemic Planning, Quality Improvement, Reproduction & Technology, Stem Cells, and Synthetic Biology. Public Health Ethics, Research Ethics, Resource Allocation, Spirituality and Medicine, Student Issues, Termination of Life-Sustaining Treatment, Truth-telling and Withholding Information. by limiting the participants' field of choice.